SYDNEY, AUSTRALIA – The Australian VR (Virtual Reality) headset market grew 40 per cent in 2017 to reach 302,000 devices sold, according to new research from emerging technology analyst firm Telsyte. The Telsyte Australian VR & AR Market Study 2018 found that despite the growth in sales, adoption remains constrained by high device costs, the rapid pace of innovation and lack of clear market winners. “Australian consumers and developers are taking a wait and see approach to virtual reality” Telsyte Managing Director, Foad Fadaghi says. Telsyte forecasts that 2.2 million households will have a VR headset in use by 2021, with the main applications being in entertainment. VR headset annual revenue is expected to grow to more than $200 million by 2020, up from $79 million in 2017. The market leader in VR headsets was Sony PlayStation, which benefited from selling VR as an accessory for the PlayStation 4, and its ability to attract leading games publishers. Sony PlayStation has announced over 50 new VR games titles for 2018. As awareness has advanced, health concerns surrounding VR has plummeted, with only 5 per cent of survey respondents concerned about negative health implications of VR, down from 36 per cent in 2016. Telsyte believes with more use cases and higher levels of accessibility, augmented realty (AR) – or the overlaying of computer-generated digital images over a camera feed of the real world on devices such as smartphones, tablets, and headsets is expected to gain broader adoption than VR. 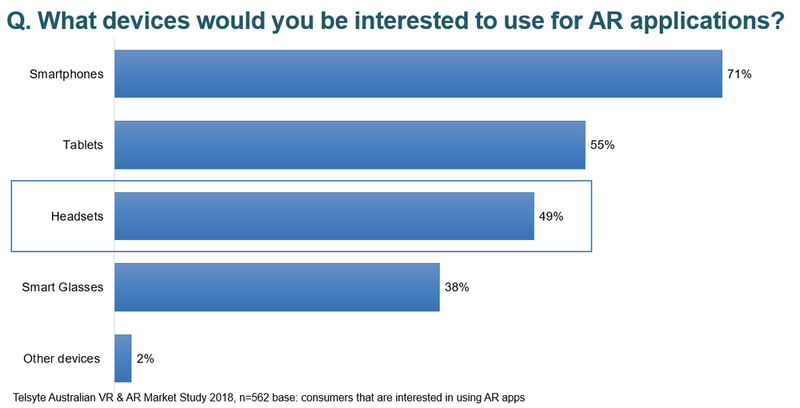 The popular AR apps such as Pokémon GO and Snapchat photo filers have helped rocket AR into the mainstream, with 1 in 3 of Australians saying they have tried AR applications. Telsyte research shows that 67 per cent of iPhones used in Australia are ARKit compatible (Apple’s AR development platform), and 23 per cent of Android phones are AR core compatible (Google’s AR development platform). While most AR applications are currently being developed for smartphones and tablets, Telsyte forecasts that consumer AR headsets and smart glasses will be commercially available towards the end of 2020, some combining AR and VR functionality. Around one third of organisations interviewed by Telsyte indicated they are either investigating or implementing VR applications. Driving this intention was applications in education & training (40%) and product design & engineering (38%). Interest in VR applications for education and training is most prevalent in the professional, scientific and technical services organisations. Lack of knowledge in VR and lack of skills in app development are key barriers to enterprise adoption, which is further complicated by the numerous VR platforms currently battling for dominance. Enterprise interest in AR is higher than VR with 46 percent of organisations currently investigating or implementing AR applications. Customer facing applications (40%), location-based services (38%) and project management (37%) are the main applications being developed. Most organisations building AR apps are developing for the iPhone (74%), followed by iPad (64%) and Android smartphones (64%). Like VR, lack of skills and technology maturity are the key barriers for AR with almost 1 in 3 organisations identifying both as barriers. “With a large established installed base of AR capable smartphones and tablets, AR is becoming the go to option for businesses that are experimenting with immersive technologies” Fadaghi says. Interviews conducted with executives from VR/AR vendors, retailers, software developers, game publishers and channel partners. An online survey of a representative sample of Australians 16+ years of age conducted with 1,162 respondents in November 2017. Financial reports released by hardware and software vendors . SYDNEY, AUSTRALIA – The Australian mobile services market is expected to enter the realm of 5G in 2019, quickly changing the current market dynamic driven by price competition, according to new research from emerging technology analyst firm Telsyte. The Telsyte Australian Mobile Services Market Study 2018 found 616,000 new SIO (Services In Operation) were added during the 6 months to December 2017, ending the period with a total of 34.2 million SIO. The market collectively achieved similar net growth compared to the same period in 2016 (593k), with handsets being the main driver followed by machine-to-machine (M2M) connections and mobile broadband. Telstra and Mobile Virtual Network Operators (MVNOs) combined had the largest growth, contributing more than 70 per cent of the total net SIOs additions. Telsyte estimates the number of 5G connections will reach over 10 million by the end of FY2022 and at least one network operator will begin shutting down 3G services by 2020. The arrival of 5G is set to enable further innovation in mobile services plans and bundled services, helping create differentiation in the market for MNOs. The study also found competition in the BYO handset market is intensifying and consumers are benefiting from much better deals across the board compared to a year ago. Mobile Network Operators (MNOs) have substantially increased mobile data inclusions on their BYO contract plans, putting pressure on MVNOs. The average data allowance on mobile plans grew by more than 100 per cent in 2017 while average data usage on smartphones only grew by 49 per cent. Consequently, Telsyte found that around half of the average data allowance per user was utilised in 2017, down from 67 per cent in 2016. Telsyte research shows, 1 in 3 (32%) still feel they are paying too much for their current mobile services. Those that have exceeded their monthly data allowance at least once during 2017 were twice as likely to intend to change their service provider than the average. Mobile connectivity is now critical to most Australians. More than 1 in 4 Australians were forced to tether to their mobile connection in the last 12 months due to a slow, or non-working, fixed broadband connection at home or work. Amongst those forced to tether, 32 per cent said they are likely to upgrade their mobile data limit. However, despite this behaviour the consumption of fixed broadband data showed no sign of slowing down with usage expected to continue to grow at around 40 per cent per annum. Two-thirds of Australian smartphone users with fixed broadband at home claim that they would use their fixed broadband just as much, even if they had access to unlimited (or very large) mobile data. Only 11 per cent say they will decrease their fixed line usage by more than 50 per cent or stop using it altogether. Telsyte believes a simple unlimited “any connection” option will be popular going forward as consumers become increasingly dependent on their digital devices, regardless of whether it connects via the mobile network, or a fixed line network. “The market is conditioning people to consider and pay for different access technologies separately, but ultimately consumers just want their Internet to work, anywhere at any given time, on all their digital devices,” Telsyte Senior Analyst Alvin Lee says. Telsyte believes more personal and household devices will be connected to the mobile networks when consumers are introduced with the “easy to connect” methods, such as those based on eSIMs. eSIMs are integrated SIMs in digital devices such as smartphones, wearables, tablets and other Internet-connected devices. Devices with eSIMs can be connected to supporting cellular networks with a simplified process and without requiring a physical SIM card. They also can reduce the internal space required, a critical advantage for smaller devices such as wearables. Currently the Apple Watch Series 3 LTE is the main device utilising this technology. Telsyte’s research shows eSIMs are more likely to encourage Australians to connect additional devices to mobile networks. With the current low levels of data utilisation on mobile services, nearly 1 in 2 Australians (45%) are interested in connecting their personal and household devices to mobile networks if they are eSIM enabled. The most immediate opportunities are with laptops and tablets where around a third of Australians are interested in connecting via an eSIM. While eSIMs present opportunities for carriers, they also have the potential to increase churn with most operators cautiously adopting this technology. Interviews conducted with executives from service providers, mobile operators, device manufacturers and channel partners. SYDNEY, AUSTRALIA – A total of 1.65 million tablets were sold in Australia during the second half of 2017, a marginal increase of only 1 per cent from the same period a year ago, according to new research from emerging technology analyst firm Telsyte. Apple iPad sales bounced back in the second half of 2017 compared to a year ago (up 6%), mainly due to a replacement cycle driven by the new budget-friendly 9.7-inch iPad and an overall increase in interest for the iPad Pro series, which has been positioned as a PC replacement device. The Telsyte Australian Tablet Computer Market Study 2018 found sales of Android-based tablets continued to disappoint, falling by 16 per cent compared to the second half of 2016. Samsung and Lenovo held their positions as the largest Android tablet vendors in Australia, but other device maker have turned their focus to Windows 10 tablets and 2-in-1s in place of Android. Telsyte’s latest research shows demand for 2-in-1 tablets - or tablets which can also be used as a computing device (with keyboard) - is approaching mainstream acceptance. 2-in-1 tablets accounted for over 40 per cent of total tablet sales during the second half of 2017*, with the enterprise and BYOD segments driving continued market growth. Sales of 2-in-1 tablets during the second half of 2017 was still predominantly driven by Windows with more Australians considering Windows 2-in-1 tablets when it comes to upgrading their laptops. Windows 2-in-1 tablet sales increased by 13 per cent in the second half of 2017 compared to the same period in 2016. During this period overall Windows tablet sales overtook Android tablet sales for the first time. Telsyte’s latest tablet research found some 35 per cent of tablet users tether to their smartphones while out and about, as the average smartphone data allowance has more than doubled since 2016. However, Telsyte believes the big driver for mobility and tablets will come from eSIMs. eSIMs are integrated SIMs in digital devices such as smartphones, wearables, tablets and other Internet connected devices. Devices with eSIMs can be connected to supporting mobile networks without requiring a physical SIM card. “The early success of eSIM in wearables such as the Apple Watch 3 LTE can potentially extend to tablets, with simplified and more user-friendly setup for mobile connectivity”, Telsyte Senior Analyst, Alvin Lee says. eSims have the potential to rejuvenate tablet computer sales as around 1 in 3 tablet and laptop owners show an interest in connecting to mobile networks directly if their device had an eSim that was easy to connect. Growth in the tablet using audience (or installed based of users) has started to show signs of peaking, with more than 15 million Australians having access to a tablet at the end of 2017. This was up only around 200,000 people over 2016. 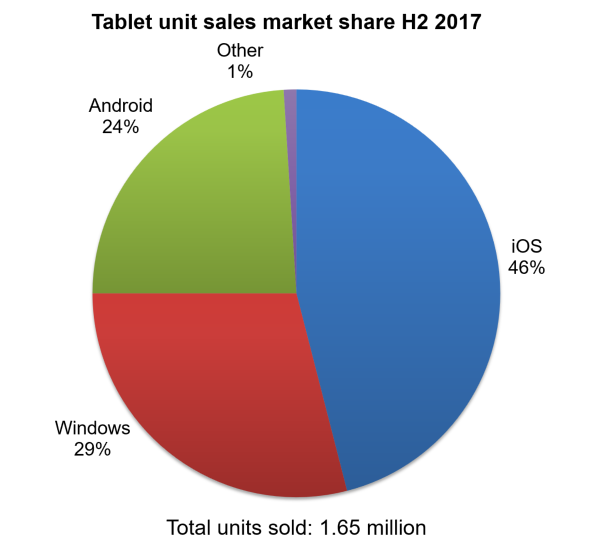 The Windows tablet audience is expected to surpass Android during 2018. Telsyte has identified education and enterprise as key growth segments for tablet sales in the next 12 to 24 months. According to Telsyte’s latest research, tablets remained a critical channel for delivering children’s content, with 4 in 10 parents that own a tablet sharing it with their children. In addition, Telsyte research shows children who use tablets spend up to 2 hours per day on their device. 2-in-1 definition: Primarily refers to laptops that have a touch screen and detachable keyboards or foldable form factors to provide a pure tablet-like experience. Tablets that are known for their versatility and mimic laptop-like experience with keyboards or type covers are also considered as 2-in-1s. E.g. Microsoft Surface tablets , iPad Pro, Samsung Galaxy Book, HP Spectre x360, Asus Chromebook Flip 2, or Lenovo Yoga 730. Market sizing, platform and vendor market shares and forecasts. End user trends across devices, usage, platforms and accessories. Tablet and computer purchase intentions and loyalty. Telsyte’s annual Digital Consumer survey conducted in November 2017 with a representative sample of 1,162 respondents, 16 years and older, and follow-up survey conducted in January 2018 with a representative sample of 1,178, 16 years and older. Telsyte measures sales of devices (“sell out”), not shipments or sales to retailers or carriers (sometimes called “sell-in”). Telsyte believes this is a more accurate measure of performance of products in a marketplace. 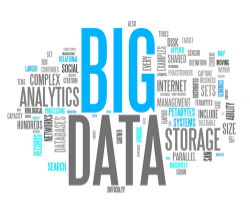 Telsyte does not rely on disclosure from vendors or general assumptions made for large multinational companies that do not release local market data. Telsyte uses a comprehensive methodology that includes surveys of consumers, discussions with vendors, carriers and their partners, retailers, and financial analysts. In addition, public financial results from manufacturers and carriers are used. Telsyte tests a wide range of products in real life usage scenarios and conducts satisfaction and repeat purchase surveys with large and representative samples of Australian smart device users. Telsyte is a pioneer in measuring and reporting tablet sales in Australia and has been providing insights on tablet device since 2010. Telsyte has published our latest digital enterprise research study sponsored by DXC.technology.